Did you find yourself having to take time off from work to go on medical leave? If so, you might have expected to be able to return to your job as soon as your leave was completed? Unfortunately, many employees who go on medical leave never return to their workplace – because they are fired. Under federal and state law, termination during medical leave could be unlawful. Unlawful termination during medical leave could provide you with enough reason to take action against your employer. Would you like to learn more about your right to take action against your employer? If so, do not hesitate to contact the experts at California Labor Law Employment Attorneys Group as soon as possible. The employment lawyers at California Labor Law Employment Attorneys Group have many years of experience handling a variety of claims, including termination claims that violate employees’ right to go on medical leave. If you would like to discuss your claim with the knowledgeable attorneys at our law firm, do not hesitate to contact our law firm as soon as possible – our lawyers are ready to provide you with the representation that you need to take action against your employer. Do you have the right to go on medical leave? As an employee, you should be familiar with the different laws that establish your right to go on medical leave. On the federal level, employees are granted the right to go on medical leave by the Family Medical Leave Act (FMLA). On the state level – specifically in California – employees are granted the right to go on medical leave by the California Family Rights Act (CFRA). These laws allow employees to go on job-protected leave for up to 12-weeks. If you would like to learn more about the laws that give you the right to go on medical leave, do not hesitate to contact our law firm today. Can You Be Fired While Taking Medical Leave? Employees on leave could be rightfully fired for poor performance. Employees on leave could be rightfully fired for becoming involved in prohibited conduct. Employees on leave could be rightfully fired for the failure to meet work goals. Employees on leave could be rightfully fired for issues with their attendance prior to going on leave. For legal terminations while an employee is on medical leave, employers might be able to prove that they would have terminated the employee for valid reasons even if he or she had not gone on medical leave. If you would like more information, do not hesitate to contact our law firm as soon as possible. If you were fired as a result of exercising your right to go on medical leave, you were likely wrongfully terminated. 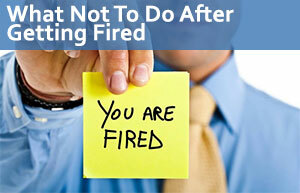 Wrongful termination occurs when an employer makes the decision to fire an employee based on illegal reasons. What reason did your employer give you to explain your termination? Your employer might have tried to feed you lies for you to accept your termination, but you might have proof that there were no valid reasons for your termination. If you believe that you were wrongfully terminated because you went on medical leave, do not hesitate to seek legal assistance as soon as possible; you probably have grounds to file a claim against your employer. What Could You Do After Being Terminated After Being Fired While Taking Medical Leave? Filing a civil lawsuit against your employer after receiving the right to sue from the EEOC or DFEH. If you would like to learn more about the options available to you after being terminated for taking medical leave, do not hesitate to contact the experts at California Labor Law Employment Attorneys Group as soon as possible. The employment attorneys at our law firm are ready to evaluate your claim and help you take action against your employer – ensuring that you could recover the compensation that you deserve. Depending on the details of your claim, you might also be eligible for reinstatement; the employer might even be required to make major changes in policy, for instance. If you would like to learn more about the type and amount of compensation that you might be eligible to receive, do not hesitate to contact our law firm as soon as possible. The employment attorneys at California Labor Law Employment Attorneys Group are ready to fight for your right to recover the maximum compensation available for your claim – contact us today. Employees have 300 days to file charges with the EEOC. Employees have 90 days to file civil lawsuits against their employers after receiving the right to sue from the EEOC. Employees have 1 year to file charges with the DFEH. Employees have 1 year to file civil lawsuits against their employers after receiving the right to sue from the DFEH. As mentioned above, you could lose your right to take action against your employer if you fail to file your charge/claim within the appropriate length of time. Because of that, it is essential that you have a thorough understanding of the deadlines that apply to your claim. For more information, do not hesitate to contact our law firm as soon as possible; our lawyers are ready guide your claim towards a successful outcome. Did your employer fire you while you were taking medical leave? If you were fired while you were on medical leave, your employer might have unlawfully terminated you. If you believe that your termination was wrongful, do not hesitate to seek legal assistance as soon as possible – as you might have grounds to take action against your employer. If you would like to discuss the possibility of taking action against your employer if you suspect that you were illegally fired while you were on medical leave, do not hesitate to contact the experts at California Labor Law Employment Attorneys Group as soon as possible. California Labor Law Employment Attorneys Group is an employment law firm with many years of experience handling a variety of claims, including unlawful terminations while on medical leave, for example. Our law firm has successfully handled countless claims, helping victims of unlawful termination recover the compensation to which they are entitled. If you would like to allow our employment attorneys to evaluate your claim and help you understand your right to take action against your employer, do not hesitate to contact our law firm as soon as possible. At our law firm, we are dedicated to ensuring that all victims of unfair termination – especially terminations while on medical leave – have access to the legal services that they need to take action against their employers. Our law firm offers both free consultations and free second opinions to all employees who have been fired while on medical leave. During our free consultations and free second opinions, our lawyers will be available to provide you with the answers to all your questions. Our lawyers will also be available to address all and any concerns that you might have. Whether you are interested in starting the legal process or redirecting your claim after it was affected by an incompetent attorney, you could be certain that our lawyers are ready to provide you with the legal assistance that you need. California Labor Law Employment Attorneys Group is dedicated to remaining accessible to all victims of unfair discharge while on medical leave. Because of that, we offer a Zero-Fee guarantee to all our clients. Our Zero-Fee guarantee ensures that our clients never have to worry about paying any upfront legal fees for any of our services. Our firm is also based on contingency; therefore, our clients will never be required to pay any legal expenses until after their claims reach successful outcomes. If you are ready to discuss your claim with our attorneys, do not hesitate to contact our law firm as soon as possible – we are ready to provide you with the legal guidance that you need.